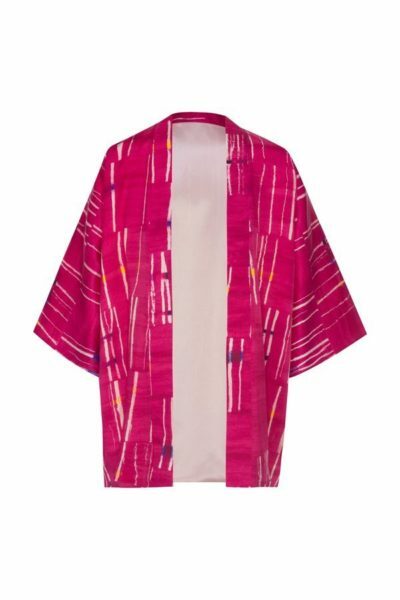 This Meet me at sunset Kimono is tailored with printed silk. 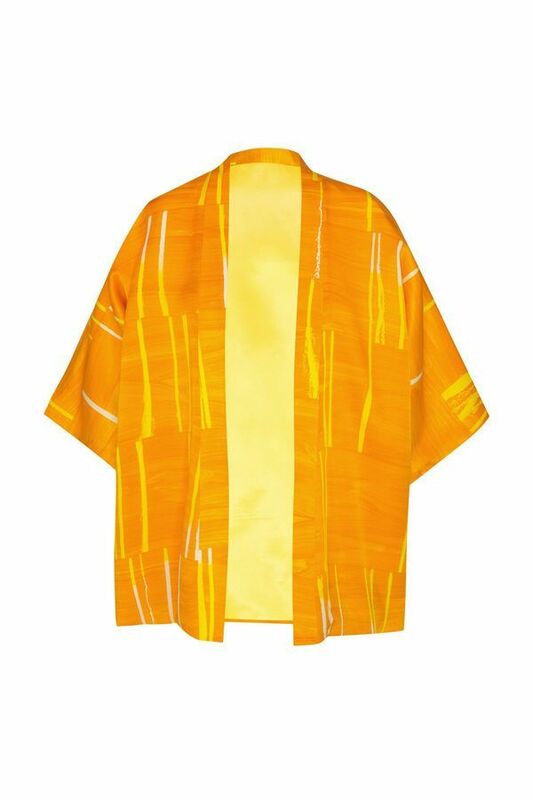 This kimono is the short version of our long kimono, a masterpiece with an amazing colour that will turn everyone around. The silk gives this short kimono an extremly luxurious and elegant look for every ocassion, done for the most dared, elegant and cosmopolitan woman.